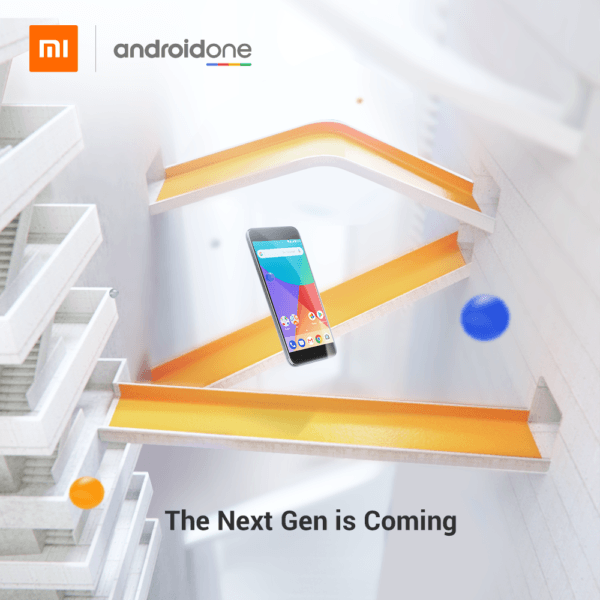 Xiaomi just confirmed the successor to its only Android One smartphone, the Xiaomi Mi A1 is on its way. The Chinese company started teasing the launch of the what could be termed as Xiaomi Mi A2 on Twitter saying the next-gen version is coming soon. Xiaomi has already scheduled a Global Launch event on July 24 in Spain, where it’s expected to launch the Mi A2 smartphone, but the news has now been confirmed by the brand itself. Alongside the Mi A2, Xiaomi is also expected to launch a Lite version, dubbed as Mi A2 Lite as the smartphone has been listed on a Polish retailer website. Having said that, Xiaomi did not confirm the existence of the Mi A2 Lite, but it did confirm the existence of Mi A2 handset. The Xiaomi Mi A2 has been in the news for a while now. All the leaks and rumours until now suggested that the Mi A2 will be the same Mi 6X smartphone that was launched in China back in April 2018, but it will run stock Android. The Mi A2 aka Mi 6X sports a 5.99-inch Full HD+ display on the front with 18:9 aspect ratio. It’s powered by the Qualcomm Snapdragon 660 SoC, coupled with up to 6GB of RAM and 128GB of internal storage. The Mi A2 will run stock Android 8.1 Oreo out of the box, but we’re expecting Xiaomi to also announce the Android P Beta update for the Mi A2 right at the launch event itself. With the Mi A1, consumers have lost faith in Xiaomi, thanks to the delayed software updates. Being an Android One handset, the Mi A1 was supposed to receive software updates on time, but that didn’t happen. Nevertheless, the Mi A2 will surely excite customers, thanks to Xiaomi’s aggressive pricing strategy and the specifications it packs under the hood. As mentioned, Xiaomi is also expected to launch a Lite version, namely, the Mi A2 Lite. The Mi A2 Lite is said to be a revamped version of the Redmi 6 Pro which was launched last month in China. The Redmi 6 Pro was the first Redmi device to sport a notched display and the Mi A2 Lite will be the first Android One device to sport a notched display. It will be interesting to see how Xiaomi deals with the notch on stock Android. The Redmi 6 Pro, in China, arrived with Snapdragon 625 SoC and we’re expecting the Mi A2 Lite to also run on Snapdragon 625 chipset. Both the Mi A2 and Mi A2 Lite are expected to launch in India at a later date, maybe in September itself. The Xiaomi Mi A2 was launched back on September 5 in India. Maybe, they’ll be launched in India in August itself. Those who have A1 are in distress, I think A2 will garner less Buyers. People are happy with A1. I know people who bought Redmi Note 3/4/Mi A1/Redmi Note 5 Pro. They are much happier person indeed than people who have bought J series and Moto series in last two years. Redmi Series is better than Mi A1, folks on TT are in Distress lets not talk about others. You may see it Nikhil when any news related to Mi A1 is posted on TT, all negative comments gain Traction bro. I have two Mi A1 in my family. They are completely satisfied with the phone. Battery is on lower side. But they have flashed roms and they have neglected that part too. It supports quick charge 3.0. Use that and stay happy.